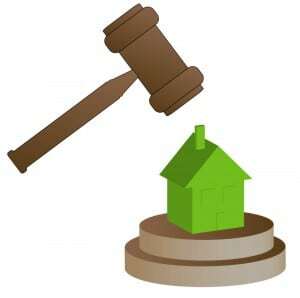 Home · Property Management · Latest News : Could California’s New Anti-Deficiency Statute Hurt Short Sales? Could California’s New Anti-Deficiency Statute Hurt Short Sales? On July 11, 2011, California governor Jerry Brown signed into law a new law to combat deficiency judgments by holders of non-purchase money junior mortgages (second or third mortgages) when the lender has accepted funds during a short sale transaction. This law protects homeowners of real property of one to four units who refinanced a loan after the original purchase loans. This was Senate Bill 458, and amends the language to the California Code of Civil Procedure §580e. Previously, a junior mortgage holder of a refinanced loan had the right to collect on any balance unpaid after the sale of the transaction. In many cases, they specifically stated in their short sale approval documents that they retained the right to seek collection of any deficiency. In January of 2011, a similar law went into effect that eliminated the right of a first lender of a refinanced loan to seek a deficiency judgment after a short sale. However, it did not affect secondary loans after the short sale transaction. As with all laws aimed at stemming the tide of foreclosures and distressed property sales, there is bound to be some confusion in the interpretation of these laws. The new law only affects real estate of one to four units, and will have no impact on short sale transactions with bare land or commercial property, such as apartments, office buildings or retail locations. In essence, the law states that if a junior lender accepts any money to release its lien against the property, it will be deemed to have executed a non-judicial foreclosure of the property. Since a California has what is known as a “One Action” rule, a non-judicial foreclosure bars any further attempts to collect on a deficiency. Therefore, if the lender accepts any money during the short sale transaction, it is the only “action” that they can take. The law also prevents the lender from slipping in a piece of paper in the documents being executed by the sellers in which the sellers “waive their rights” under this law. Any such document will be void as against public policy. What is going to be the result from this new law? I believe that there are three possible directions that lenders will take. 1. The first possibility will be that the junior lenders will take a stronger stand during the short sale transaction, and demand more money at the time of the sale. I have already seen situations where Chase, when in first position, will offer a second no more than $3,000-$5,000. However, when they are in second position, they are demanding $15,000.00! This could get even worse in the future. 2. The next possibility will be that they refuse to release their lien, and let the first go ahead with foreclosure. The first lender will be stuck with the property and no recourse for any deficiency, but the junior lender will only lose its security (which was probably already worthless) and still have the right to obtain a deficiency judgment. 3. The other possibility is that the junior lender will simply release its lien, without receiving anything of value to do so. As in the situation where they allow the first to foreclose, the junior lender will be free to pursue its deficiency remedies. This is going to put real estate agents in a very dangerous position, and I will explain why. Whenever anyone approaches a lender requesting a short sale, what is the first thing that the lenders say? They say, “We need the last 2 years of tax returns and three months of bank statements.” I often wonder why they need these items, because in most cases they were not requested when the original loan was made. The question is, do they really NEED this information, or do the just WANT this information? When this information is provided to the lender or servicer, they are given all of the information that they need to decide if the seller has enough assets to warrant them pursuing the owner with a lawsuit. If a lender refuses the short sale, and instead sues the homeowner for a money judgment, would the real estate agent who gave the lender the information, or recommended to the seller that they do so be liable for a breach of fiduciary duty? It is a possibility that such could be the outcome. In my opinion, and I have done this many times with lenders, the lender and servicer needs to know only a few things. They are, a) the Fair Market Value of the Property, b) the offer that has been obtained to purchase the property, and c) that the owner does not intend to make any more payments. The real estate industry has been caving in to the lenders’ demands for too long, and it is time to take control back.